Glen Oaks Community College is greeting not only more new students but also new infrastructure and power system changes. 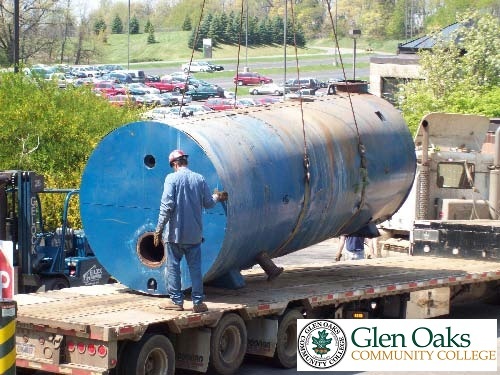 Last week the college said goodbye to a 47-year-old main boiler, known as “Big Blue,” that has dogged the school for years. Replacing the main boiler will be four smaller boilers, said Dr. Gary Wheeler, college president. “Perhaps we should have had a ceremony commemorating the departure of ‘Big Blue’? It weighed 25,000 pounds and was the original boiler for the college. The boiler was originally designed to last only about 20 or 25 years,” said Dr. Wheeler, adding that students and employees should experience more uniform heating throughout the college. Glen Oaks agreed to enter a contract with Honeywell International to make numerous system changes in the coming years. All the work is designed to save the institution money with greater energy efficiency and repair costs. “We are asking everyone to be patient with all this because the college will be a better place once we have all the pieces completed,” reminded Dr. Wheeler, saying some of the changes from Honeywell and subcontractors include upgrades and new wiring to sewage pumps, energy-efficient lighting improvements around the college, and new lighting and large ceiling fans in the gymnasium. In fact, the fan system was found to be so effective that it may no longer be necessary to air condition the gymnasium, according to Nick Milliman, director of buildings and grounds. Crews are also working on upgrades to lighting in the Machine Tool and Automotive Service and Repair areas, along with replacement of lighting for the Concourse and stairwells. “These needed upgrades, many of them long overdue, are part of our emphasis on making Glen Oaks Community College the best educational environment possible for our students,” said Dr. Wheeler. Glen Oaks Community College also begins summer hours May 3 through July 29, with the college closed on Fridays. 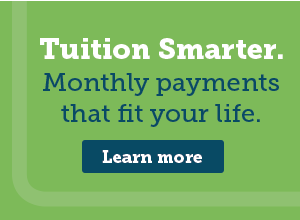 The college is open Monday through Thursday 7:00 a.m. to 5:00 p.m., though student registration is available on Tuesday and Wednesday until 6:30 p.m. The college is also open until 6:30 p.m. on May 10 and May 13. The college is closed May 31 and July 5.